It’s often said that necessity is the mother of invention. While that’s mostly true, throughout history, inventions designed for a specific purpose have often found their way into other fields that were somewhat related but filled a specific niche that nobody expected they needed until it became available. Some specific examples are products that have arisen due to space exploration. For example, memory foam was designed for astronauts’ seats so they could more easily handle the rigors of takeoff and landing. Now memory foam has found its way into mattresses, pillows and other consumer products. Other examples include insulin pumps and LEDs. Something similar happened with the 10mm Auto cartridge as well. 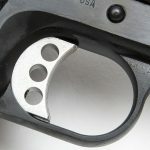 Designed for one purpose, it filtered into different niches in the firearms industry to provide for other uses as well. Recently, there has been a spate of new 10mm pistols on the market from several major players, but one gun-maker has taken the platform to new heights of craftsmanship and quality. That maker is Les Baer. The pistol is the Les Baer Premier II Hunter. The late Colonel Jeff Cooper, a fan of big-bore pistols, was a visionary. One of his most influential concepts was the 10mm Auto round. More specifically, he designed what he called the .40 Super and collaborated with Dornaus and Dixon Enterprises to design a pistol that would handle the new caliber. The first company to mass-produce this new round was Norma Precision AB (known then as FFB Norma AB). Norma decided to take advantage of this new round’s construction and increase the power factor above Cooper’s original concept, and the resulting cartridge was then renamed 10mm Auto. Any discussion of the 10mm Auto round is inevitably linked to the FBI shootout in Miami, Fla., in 1986 where two agents were killed in the pursuit of two known bank robbers. Though the criminals died during the gunfight, it took longer for that to happen than it should have. Autopsies of the two criminals showed that they had been struck by 9mm rounds issued to the FBI at the time, but those rounds had not penetrated sufficiently to immediately stop the threats. This resulted in the FBI going on a hunt for a new pistol caliber that would outperform the issued 9mm rounds, and that’s when the 10mm Auto came to the forefront of the firearms industry. Cooper’s vision of a cartridge that provided better external ballistics than a .45 ACP, such as a flatter trajectory, longer range and better penetration, initially paid off with the FBI’s decision to adopt the caliber for its agents. However, the period was short-lived. The FBI determined that the recoil was too much for the average agent to handle, and the corresponding pistols were too large for most agents’ hands. This resulted in the FBI discontinuing the use of the 10mm Auto as its issued service round in favor of a newer compromise known as the .40 S&W. The 10mm Auto cartridge and its accompanying firearms limped along until shooters recognized their potential for hunting. They became a hit with boar and whitetail hunters, and found favor as backup pistols to deal with larger, dangerous game. With the 10mm Auto’s recent resurgence as a popular hunting pistol, a custom gun shop on the eastern border of Iowa took heed of many pistol-hunting enthusiasts’ requests and recently released what it thought a 10mm pistol ought to be. Les Baer Custom is known for being one of the top makers of 1911-style pistols in the United States, possibly even the world. 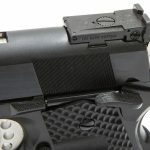 The company has an outstanding reputation for producing accurate pistols with extremely tight tolerances and top-shelf quality. 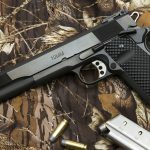 With more than 40 years of experience as a custom maker, Les Baer has honed his craft to a state of near perfection and enjoys the accolades thrust upon him by multitudes of fans the 1911 pistol. The Premier II has been Baer’s flagship pistol for a while. While the most common and popular models are in .45 ACP and have 5-inch barrels, Baer has been inundated with requests for a 10mm hunting model for quite some time. 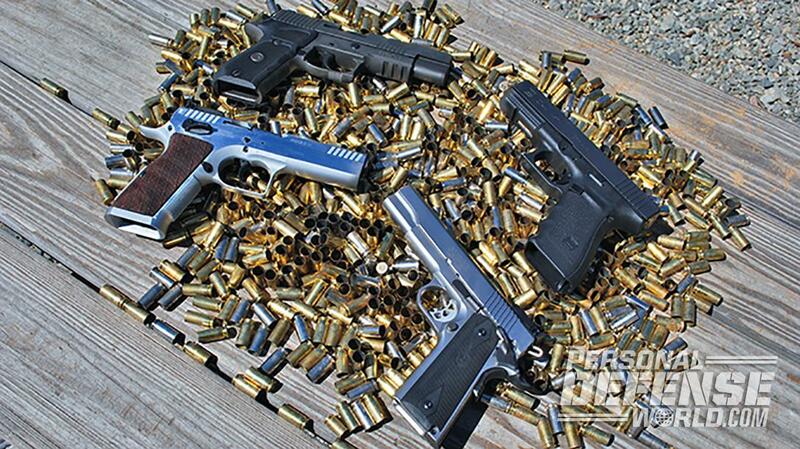 Baer’s shop made a 10mm 1911 almost two decades ago but found that the hot-loaded 10mm ammunition of the time was battering 1911s apart after extended use. 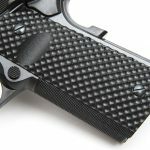 Now, however, steel technology has advanced to such a degree that Baer feels modern 1911s are now much better platforms when it comes to keeping a tight fit and standing up to the more powerful load. He also noted that the quality of ammunition has vastly improved as well, and there’s a good variety of 10mm Auto loads out there to meet the needs of different shooters. Though the Premier II isn’t an inexpensive pistol, it does come with a bevy of hand-fitted custom features that help justify its $2,940 selling price. A full list of those features can be gleaned by downloading the latest catalog, but I’ll mention a few here so you understand how much work goes into each pistol. The Les Baer Premier II Hunter comes with a National Match slide, frame and barrel that are hand-fitted; this ensure the tightest fit and the best accuracy possible. The throated, fully supported barrel is 6 inches long, providing a longer sight radius and a bit more velocity. The pistol also includes a lowered and flared ejection port along with a tuned and polished extractor to ensure excellent reliability. The pistol includes a fiber-optic front sight along with an adjustable, low-mount LBC rear sight. The slide has a blued finish. Baer serrates the slide at both ends for those who like the look and/or the ability to press-check the weapon. It also comes with Baer’s Speed Trigger, tuned for a 4-pound pull. There are many more features and enhancements that are too numerous to list, but you get the idea. Baer had a bit of pride in his voice when he told me that his company “builds each custom 1911 like it’s 1930”; meaning there’s a lot of hand work and gunsmithing time involved with the production of each pistol. Despite the plethora of custom touches incorporated in the Les Baer Premier II Hunter, the real truth comes with handling and shooting the pistol. And the expression “locks like a bank vault” is not an exaggeration when it comes to this 10mm offering. For instance, the extended thumb safety is very tight. It had an extremely positive action, though locking it with an upward motion of the thumb required a bit of effort in the beginning. Racking the slide was another effort where the hand-fitted nature of the parts was clearly evident. The pistol was as tight as a drum when locked up, and again required an above-average effort to engage the slide. However, even with this tight fit, the reliability was still 100 percent during the shooting tests. So it seems the gun was neither too loose for superb accuracy or too tight for reliable operation. For the shooting trials, I had on hand a few different Buffalo Bore loads as well as Sig Sauer’s FMJs and V-Crown JHPs. As someone mentioned to me, you don’t test a new car by redlining it the beginning. You break it in a bit and get a feel for it, and then you start to push it. That’s the approach I took with the Les Baer Premier II Hunter. The break-in process started with shooting Buffalo Bore’s 180-grain Tactical Low Recoil FMJ flat-nose (FN) rounds and Sig Sauer’s V-Crown JHPs. It didn’t take me much time to get used to the pistol due to its superior ergonomics, and the recoil was quite soft. It felt like a lower-powered .45 ACP in action. Also, the pistol’s weight helped in this regard as well. The trigger was very crisp and smooth, with an average pull weight right at 4.13 pounds. The good folks at Buffalo Bore provided three heavier loads for the accuracy portion of the test, including 180-grain JHP, 220-grain Hard-Cast FN and 200-grain FMJ FN rounds. I also used more of Sig Sauer’s 180-grain V-Crown JHPs as well. The Les Baer Premier II Hunter demonstrated outstanding accuracy. Shooting from a compact rest at 25 yards, the best single group measured 1.25 inches. This was with Buffalo Bore’s 220-grain Hard-Cast FN load, which also took the best average group size at just 1.86 inches. Most of the other loads had at least one group that was less than 2 inches; that’s excellent considering I fired the shots from a rest without being locked down in any way. I’m sure human error, more than anything else, contributed to the groups not being as good as they could have been. 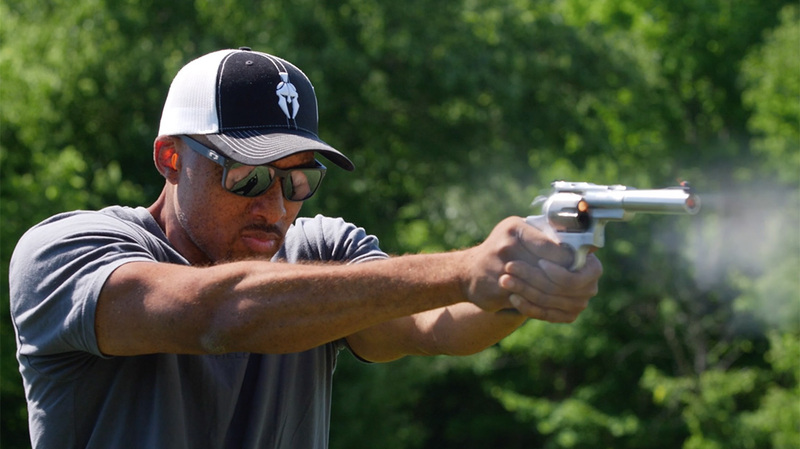 Premier II pistols are guaranteed to produce groups tighter than 2 inches at 25 yards. That guarantee also extends to 3 inches at 50 yards. This is a pretty stout accuracy guarantee. If you want to go the extra mile, the shop also offers an extra accuracy package for $295 that guarantees 1.5-inch groups at 50 yards. Personally, if I was already spending almost $3,000 on a pistol anyway, I’d go the extra step and have that package added as well. 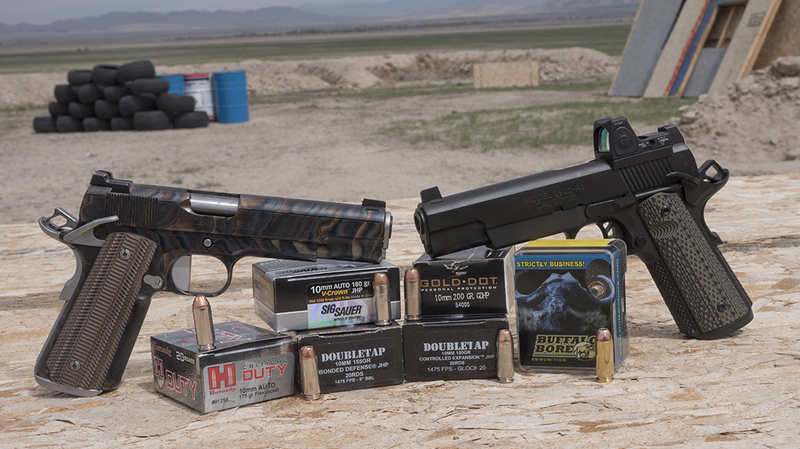 While the 10mm Auto still makes sense for self-defense, it is quickly becoming a favorite for boar and whitetail hunters. And though there are several new 10mm Auto pistols on the market, very few offer the outstanding quality and attention to detail that resides in the Les Baer Premier II Hunter. While the price is a bit stiff, you certainly get what you pay for with this gun. For the discerning, serious-minded pistol hunter, it is the pinnacle of quality for a 10mm Auto pistol. With 40 years of experience and meticulous craftsmanship going into each pistol, it’s hard to go wrong with the Premier II Hunter, and it’s as much a trophy as anything you can take in the field. For more information, visit LesBaer.com. 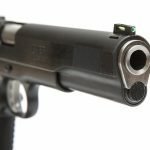 The post The 10mm Les Baer Premier II Hunter Pistol Will Drop Just About Anything appeared first on Personal Defense World.